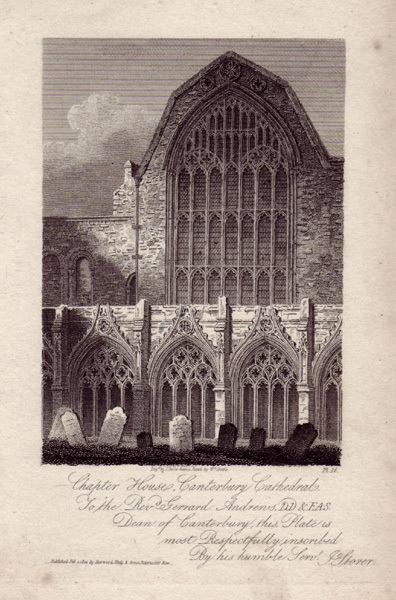 Chapter House, Canterbury Cathedral. To the Rev.d Gerrard Andrews, D.D. & F.A.S. Dean of Canterbury, this Plate is most respectfully inscribed by his humble Servt. J. Storer, c. 1814. The West end of the Chapter House, seen from the cloisters, with part of a fine tier of Saxon arches, which are alternately filled up with masonry.